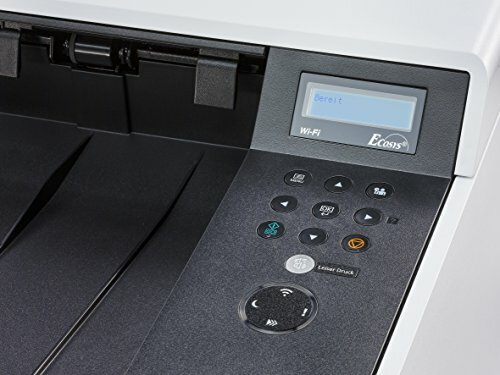 THESE DAYS, EVERYONE likes to put ‘eco’ in their product names, but Kyocera’s Ecosys printers have a fair claim to being slightly better for the environment. Their photoconductor drums are made from ceramic (hence the ‘cera’ in Kyocera), giving them a longer service life than you’d find elsewhere. The drum on the P5026cdw is guaranteed for the earliest of three years or 100,000 prints – two or three times what we’d expect from a conventional equivalent. 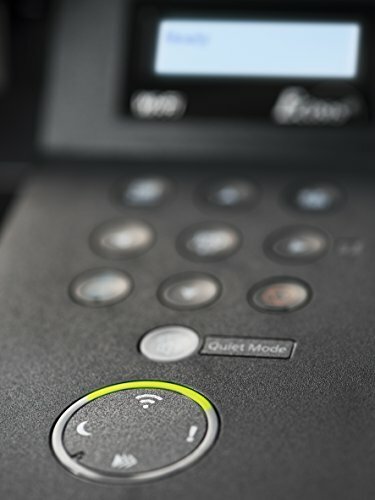 In other ways, the P5026cdw is a completely typical small office color laser. 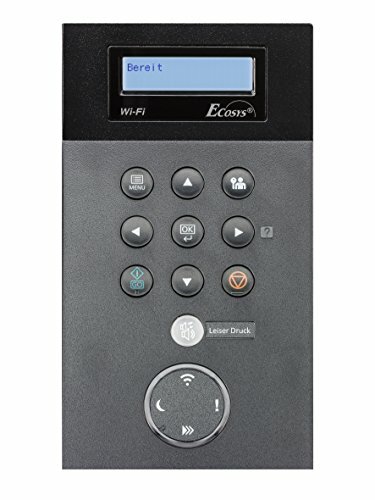 It can connect via USB, wired or wireless networks, has a front panel USB slot for walk-up document printing, and can be controlled by a basic menu displayed on a two-line backlit LCD panel. In its base, there’s a 250-sheet paper cassette, while there’s a 60-sheet multipurpose tray neatly hidden behind the front panel. 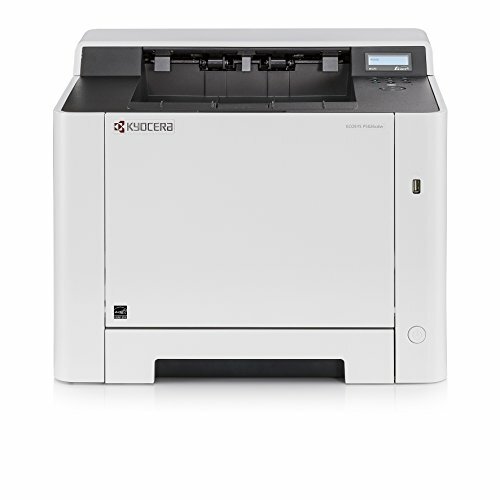 Typically for Kyocera there’s some room to upgrade, with support for another 250-sheet input, while the driver supports handy office features such as PIN-protected secure jobs. This isn’t the easiest printer we’ve ever set up, particularly so when it came to trying to join it to our test wireless network. 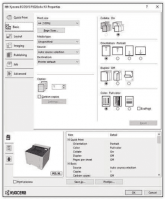 The printer’s own menu supports only WPS or an on-device PIN mode: you can’t search for nearby networks by SSID. In fact, the more we used the menu the less we came to like it: it’s not particularly friendly, and by default almost every sub-menu is protected by the numeric password – secure, but annoying when there are no number buttons. While we’re complaining, the icons marking paper orientation are poor: the first time we tried to re-use paper we printed on the wrong side. 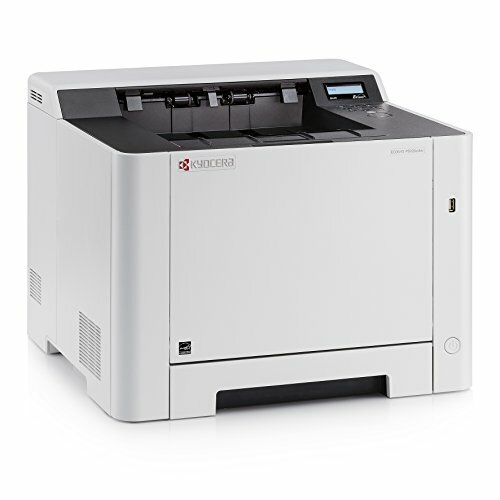 We perform our timed tests over a wired connection, and here the P5026cdw scores points for having Gigabit Ethernet, which can reduce spool times for long or complex print jobs. It has a quiet mode, selected via a dedicated button on the top panel. 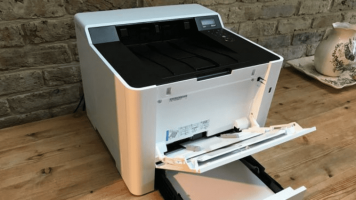 It’s off by default, but regardless this is one of the quietest laser printers we’ve tested. Delivering our mono text test at a creditable 23.4 pages per minute (ppm), its fan and paper transport noise was muted, and stopped very quickly after the end of the job. Quiet mode halved the engine speed, but its main effect on the noise was to lower the frequency – we wouldn’t bother. Helped perhaps by its fast interface, the P5026cdw completed our complex graphics test at 20.6ppm, and it managed a similarly impressive 10.2 images per minute on our duplex test. In the past we’ve found the print quality from some Kyocera devices to be underwhelming, but the P5026cdw was quite good: text was bold and acceptably crisp, while both office graphics and photographs had an even sheen and were free of obvious artefacts, although they did have a slightly cool color bias. 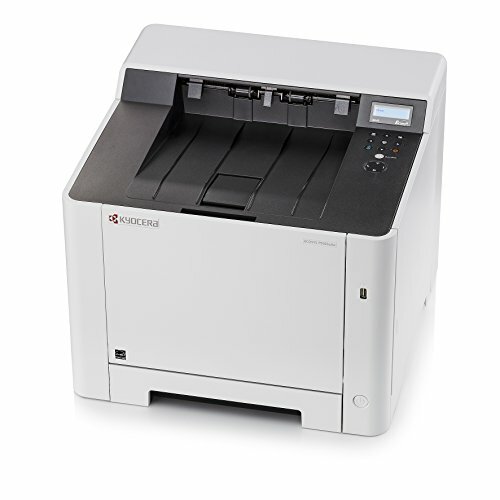 Kyocera claims that, with long-life components and consumables, the P5026cdw offers exceptionally low running costs for its class. 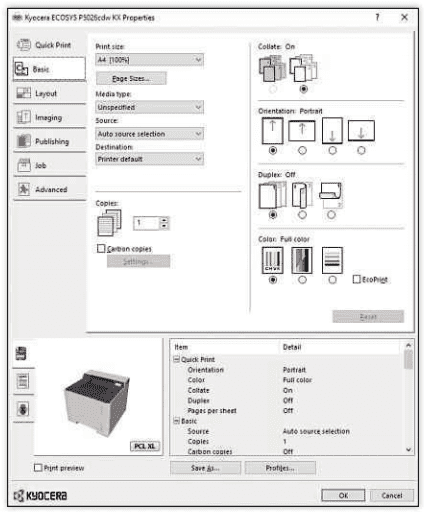 At 8.2p per page they’re certainly a penny or two lower than we’d expect from competing lasers, but an equivalent office inkjet would be significantly cheaper still. 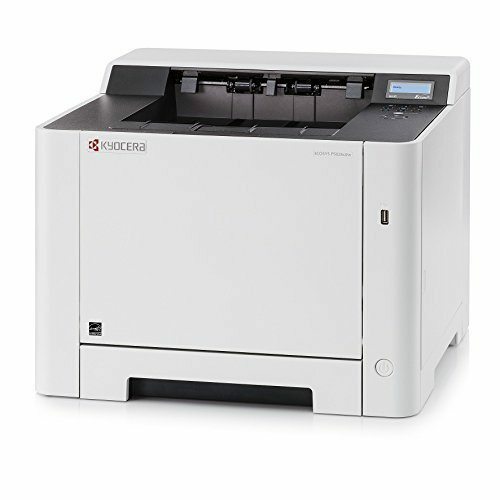 We’d be inclined to choose an inkjet, but if you’re set on a color laser for your small business, the P5026cdw is both competent and economical.